Pray for 10-year-old Cristy: please share! Please join all the members of the Pauline Family in praying for ten-year-old Cristy Dangond, who is so beautifully witnessing to how to trust in Jesus as she continues treatment for cancer. Cristy and her family have been a beautiful witness to me during this difficult time. Cristy’s parents, Fr. Ed Riley, Fr. Mike Harrington, and all of the Daughters of St. Paul make this particular request. 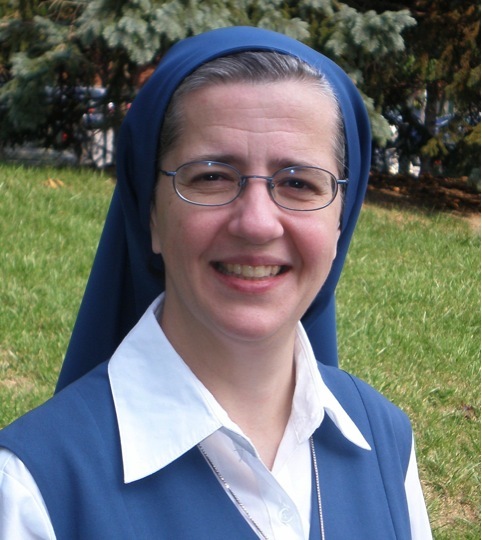 Her parents are members of the Pauline Family as postulants in the Holy Family Institute. Christina Dangond is a young girl who was diagnosed in 2012 with a rare form of cancer when she was 6 years old. Christina is now 10 years old. She has proven through her vitality, unbreakable faith, strength and courage, that one can go through the most difficult tests in life with a beautiful smile and a supreme confidence in Jesus. A kindred spirit to Blessed James Alberione in the desire to spread the Gospel of Jesus Master, Way, Truth and Life, Christina and Blessed James may be separated by time but are joined through eternity: One needs a miracle to live, the other a miracle to be canonized a Saint. Please join us in praying daily through the intercession of Blessed James for the miraculous cure of Christina with complete confidence in and gratitude to Almighty God the Father through Jesus Master, His only Son, in the Holy Spirit! Prayer is below. Won’t you join us! Most Holy Trinity, who has willed to revive in the Church the apostolic Charism of St. Paul, revealing yourself in the light of the Eucharist to Blessed James Alberione, founder of the Pauline Family, grant that the presence of Christ the Master, Way, Truth and Life, may shine the world through Mary, Mother and Queen of the Apostles. Glorify in your Church this apostle of the new evangelization, and raise up men and women open to the “signs of the times” who, following his example will use the modern means of communication to lead all of humanity to you. Through the intercession of Blessed James grant me the grace that I ask for at this time: the complete healing of Christina Dangond from all of her cancer. Glory to the Father and to the Son and to the Holy Spirit, as it was in the beginning is now and ever shall be, world without end. Amen. Thank you everyone. Praise be Jesus Christ! Now and forever! Jesus I trust in you! Help us spread this message to everyone! Novena to St. John Paul II Begins…Today! As you might know, we have been praying the Angelus together on Facebook Live at noon every day, as well as praying the Rosary together at 8 PM on Facebook Live. The number of people joining us in prayer has been inspiring! (Our biggest night so far was Monday, with over 16,000 views!) We’re hoping tonight will be the biggest night of all–it’s a wonderful way to thank Our Lady of Fatima for proving again what a wonderful Mother she is–not just to Jesus, but to the entire Church. It is striking to me that the Novena to St. John Paul II begins today (9 days before his feast on October 22). For me, St. John Paul is the Pope whose devotion to Our Lady is so pronounced. His multiple (sometimes mysterious) connections with Our Lady of Fatima are everywhere, once we start looking. 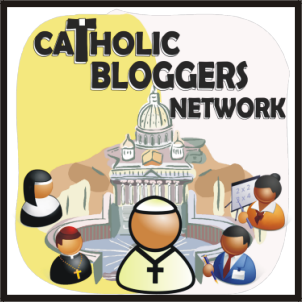 Father Raymond de Souza shares the highlights in his insightful and concise article here. You gave so many gifts to the Church: the call to the New Evangelization, your witness of prayer and union with Christ, the beautiful articulation of God’s plan for every human person in the Theology of the Body, your appreciation for beauty and the arts, your many beautiful and profound writings, your devotion to the Truth, your understanding of what it means to be a communicator for Christ and witnessing how to do it, your closeness and preferential option for youth, your surrender to God’s will in your illness. Now from heaven, you continue to accompany the Church you led so wonderfully here on earth. You know that your homily during your Mass on the Boston Common, and your encouragement, led me to embrace my vocation. You were always a special friend of young people, encouraging them to boldly follow Christ. When I finally met you, I could see the love of God the Father for me shining through your eyes. I told you then that I loved you, and I continue to love and trust in you as my spiritual father and guide. Now, I trustingly turn to you once again for inspiration, guidance, and for your intercession. In your powerful prayer to Jesus our Way, Truth, and Life, intercede for the Church to courageously continue setting out “into the deep” for the New Evangelization in these challenging times where the dignity of each person, the freedom of religion, the value of every human life, the nurturing of the family, the care of all creation, justice for those who are oppressed, and concern for the common good, are all under threat. I trust in your prayers, St. John Paul. Continue to accompany me! You inspired me to “Follow Christ” unreservedly; I am one of “your” vocations; I count on you as “my” Pope and my spiritual father! Thank you. Here, you can find the “official prayer” from the Vatican offered at St. John Paul’s canonization here (thanks to Catholic News Service for the unofficial English translation. This novena prayer is also beautiful and is posted on the site for the Saint John Paul II National Shrine (in Washington, D.C.), which I hope to visit someday!